False. For years we’ve been hearing that Israelis don’t give. That they don’t understand Jewish community, philanthropy, federations ... it’s not true. In fact, something amazing is happening in our partnership communities in Israel right now. We’re the first Jewish Federation to have a parallel Super Sunday in Israel. 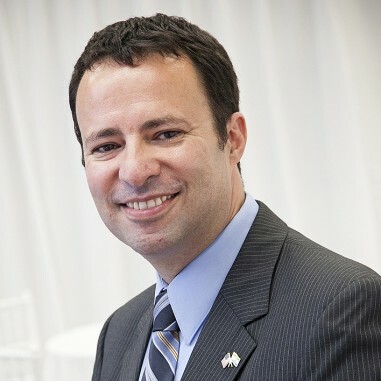 And the first Jewish Federation to redefine what the parameters of partnership, connection, and arevut (mutual responsibility) entail. In preparation for Super Sunday, this coming Sunday, they’ve already made calls and run projects around Ofakim/Merhavim, Rishon LeZion, Arad, and more. And they have already raised thousands of dollars for our UJA Campaign. Ofakim/Merchavim Youth Futures mentors and kids organized an afternoon fair for families, raising $180. The Ofakim Isha Center hosting the Merchavim Women’s Council raised funds for Super Sunday. 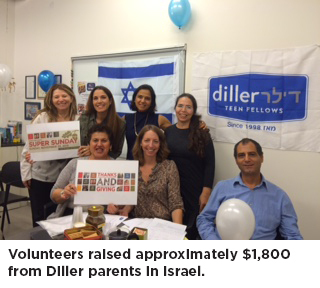 Rishon Letzion volunteers held a phone-a-thon, calling the eight cohorts of Diller parents, while the kids went to the mall to sell cakes. Here’s the part I love — apparently they didn’t sell the cakes (too delicious?) but they still raised several hundred dollars by just sharing their stories and spirit! Their parents, meanwhile, raised several thousand dollars. And former GMW rishonim and shlichim are conducting their own high-energy campaign of thanks and giving. There are more events scheduled over the next few days, leading up to Yom Aleph Aleph (Super Sunday in Hebrew). And the sense of excitement, of unique and energetic vision, of tremendous pride in actively belonging and contributing to our global community is wild and amazing. We’re looking forward to seeing all our Israeli friends and family this Sunday on the live video feeds – and all of you here in New Jersey – in one of our busy, vibrant, exciting centers. Click here for a list of the activities, events and registration.